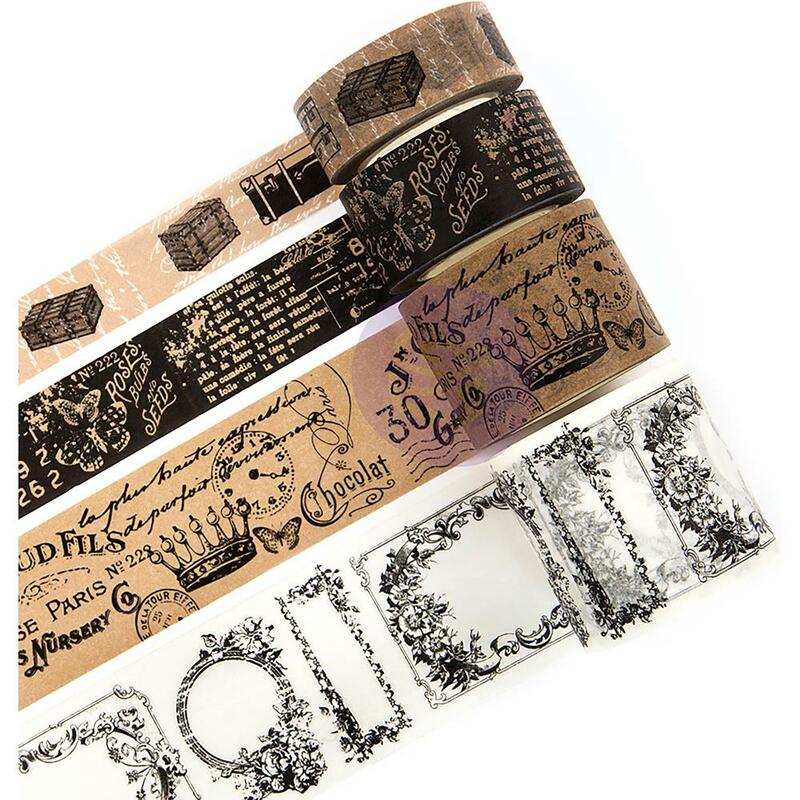 This Prima Traveler's Journal Washi Tape has four (4) Rolls of Kraft Vintage Designed Tape. Each roll of Washi Tape is approximately ten (10) Yards of each design. Product by Prima Marketing Inc.